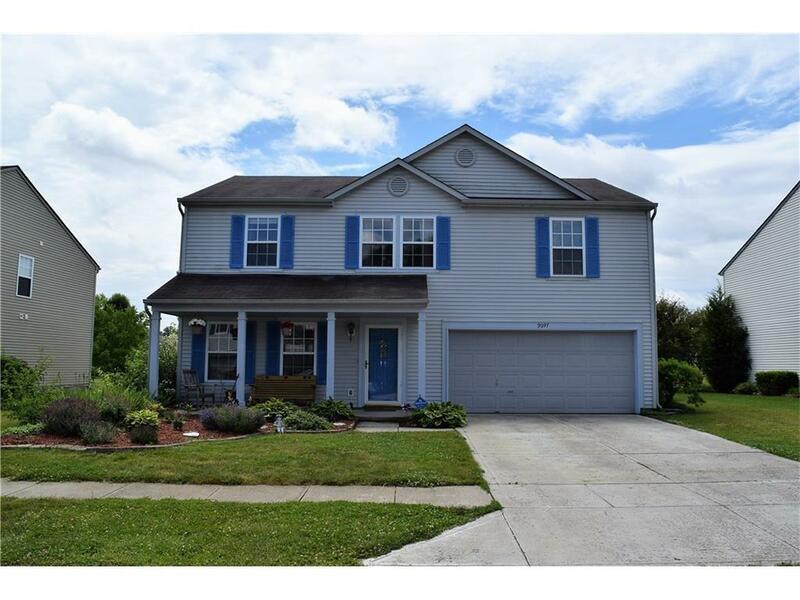 GREAT Location - Clean 3 BR Plainfield home! Ceramic tiled floors in the kitchen lead way to the laundry/mud room. Nice size walk in closets for each BR. Upstairs loft for office or play area. Nicely landscaped yard w/ fully fenced backyard - includes raised beds to grow your own vegetables! Hang-out in the evenings and roast marshmallows in the built-in fire pit and enjoy those warm, summer evenings overlooking pond in the background. Access to the Plainfield Parks and Recreation Trail system.